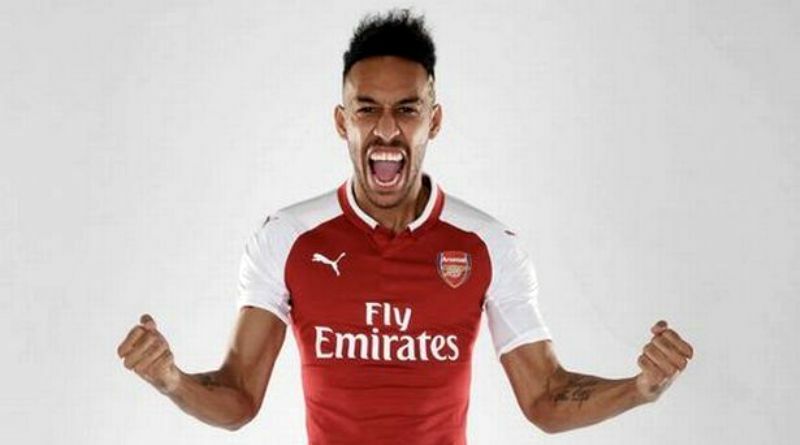 Pierre-Emerick Aubameyang is now a Arsenal player. The reports in England suggested that Arsenal complete the signing of Borussia Dortmund forward Pierre-Emerick Aubameyang. The 28-year-old made 213 appearances across all competitions for Borussia Dortmund, scoring 141 goals and supplying 36 assists in return. Aubameyang is considered to be the best forward in Gabon. The Gabon international has been in impressive form for Borussia Dortmund this season. His record for Gabon is also impressive. Pierre-Emerick Aubameyang has scored 19 goals in 49 matches for Gabon at senior level. According to BBC, Arsenal have signed Gabon striker Pierre-Emerick Aubameyang from Borussia Dortmund in a club record 63 million euros deal. The Gunners had two bids for the 28-year-old rejected by Borussia Dortmund before agreeing a fee that eclipses the 52.5 million euros purchase of Alexandre Lacazette. Arsenal said the 2015 African Footballer of the Year had joined on “a long-term contract”. Pierre-Emerick Aubameyang is one of the biggest signings Arsenal have made in recent history. The move was rumored for weeks and months before ever officially happening. At some points it seemed Pierre-Emerick Aubameyang would stay at Borussia Dortmund, but for the most part it has been evident for some time that he would leave. The 28-year-old is certainly a player that would strengthen the current Arsenal squad and would be a good buy in January.